Dupaco Community Credit Union earned last year’s Business Analytics Innovation Award for demonstrating excellence through its consumer-centric campaign that paid real dividends to its members. 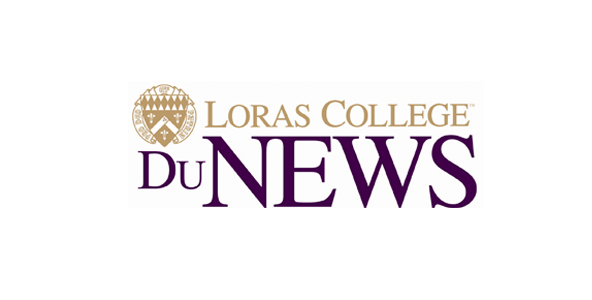 DUBUQUE, Iowa—The Loras College Center for Business Analytics invites local, regional and national organizations to submit entries for the 2017 Business Analytics Innovation Award. The award annually honors companies demonstrating the most innovative and effective use of business analytics within their organization through a project, process or concept. 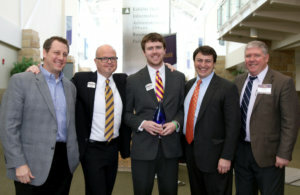 Applications can be submitted online at loras.edu/bigdata by Friday, March 17. Eligible applicants include any private or public company, government agency or nonprofit organization that has implemented an analytics system to enhance organizational operations or decision-making. Applicants may nominate themselves, or on behalf of a client. Sponsored by TH Media, award winners are chosen based on the description of a business analytics project, process or concept that was implemented by their company and the tangible economic, social or environmental impact it demonstrated. Dupaco Community Credit Union earned the 2016 Business Analytics Innovation Award for demonstrating excellence through its data-driven marketing campaign, the GreenBack Impact. Through the initiative, Dupaco employees saved 1,300 members more than $3.5 million in interest within a four-month period by refinancing loans that originated from other lenders. The result was 356 percent more than the original $1 million goal. The award winner will be announced during fifth annual Business Analytics Symposium from 9 a.m. to 4 p.m. Thursday, April 6 at the Grand River Center, 500 Bell St. in the Port of Dubuque. Keynote speaker for the event, sponsored by the Loras College Center for Business, is Neil Raden, founder of Hired Brains, a research and advisory firm in Santa Barbara, California. He has more than 30 years of experience in the analytical aspects of information technology.